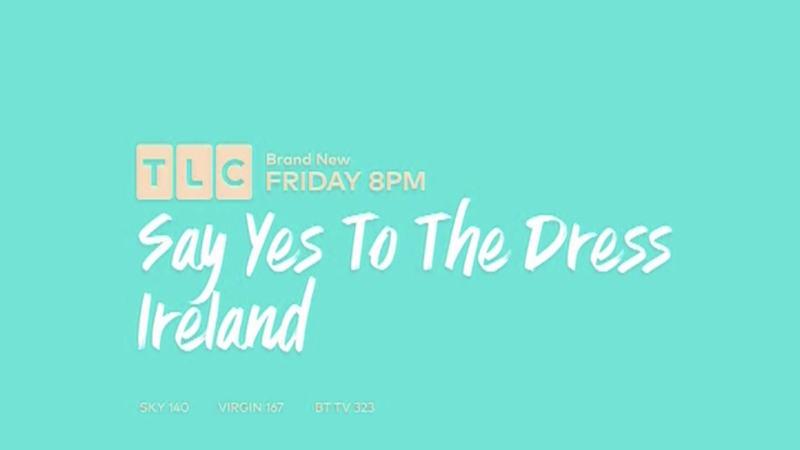 So apparently I spotted a promo on TLC and it seems like the channel has had another overhaul of its on-screen look. This is what their Twitter banner looks like now. Apparently this new look matches that of the US TLC channel. Hence why their logo looks the same as the US one again. Shame Gok Wan's aging face is in the way of it. Did Gok Wan fall out of favour with Channel 4? I spotted one of the new idents as well. This ident has the TLC blocks in black reveal those small bride and groom dolls with a female bride doll and multiple groom dolls. The bride rejects the groom, with the groom doll being thrown in the bin and the bride doll gets put on top of the wedding cake with another bride doll. That one seems suitable for wedding-themed programmes on the channel. Years ago yes. He then spent some time on ITV Daytime, then ITV Be, and now TLC. So a steady decline. What an unpleasant thing to say. The new DOG is full colour, and at least twice the size of the old one. Wrong move. Loving the fonts though. Not too different from what I was halfway through making actually. He was back on Can I Improve My Memory? the other day so they seem to be friendly again. The last look had the same problem.